Releasing the Magic! 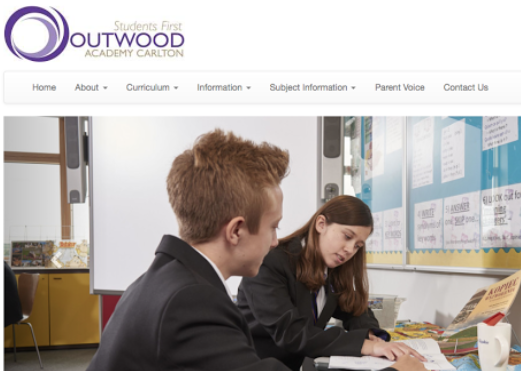 : BACK AT OUTWOOD ACADEMY CARLTON! BACK AT OUTWOOD ACADEMY CARLTON! Caroline Bassett had organised the brief session for me to go through the new materials and explain the importance of the skillset, the handbook and the skills booklet. The programme is being developed with employment sectors brought together by the Barnsley Healthcare Federation in partnership with the Cutlers Company. The programmes starts in Year 9 and develops over two years; the students taking part in visits and work experience placements with employers, world of work, life skills and team building sessions, and carry out employer initiated projects. Importantly, some of these activities take place in half-terms and holidays and require time and commitment. The young people have regular feedback and reviews and are finally awarded an employer endorsed passport in Year 11 to recognise their achievements at a celebration event. This group of young people have just started the Y10 sector programmes focused on engineering, construction and healthcare and it was great to see Caroline and her students again. BACK AT OAKWOOD HIGH SCHOOL! A GREAT PLACE: THE SHEFFIELD INCLUSION CENTRE! MEETING WITH THE STOCKSBRIDGE AMBASSADORS! OUR YOUNG PEOPLE ARE THE FUTURE! BACK AT SAINT PIUS X CATHOLIC HIGH SCHOOL! THE BADGERS ARE MOVING THE GOAL POSTS! WORKWISE AND BLBW: WORKING TOGETHER! EAT CHOCOLATE AND DRINK RED WINE! EVERYONE SHOULD READ THIS REPORT! DAN PINK ON THE ABILITIES THAT MATTER! DOING THE RIGHT THING MATTERS! WE NEED TO WAKE UP AND SMELL THE COFFEE!